Fans the time has come! As tickets are now available to see the incredible band that are The War on Drugs! Coming to Fox Theater Oakland on Tuesday 11th September 2018, this show is one of the most hugely anticipated and talked about events of the year, and you can see why! Don't delay, grab your The War on Drugs tickets now! Downloadable e-tickets are also available. 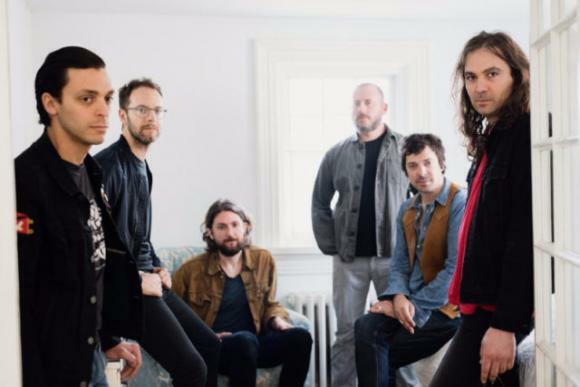 The American group hailing from Philadelphia, The War on Drugs have been truly making a name for themselves ever since their formation in 2005. With their talented musicianship and clear friendship, the band members consist of; Adam Granduciel (lyrics, vocals, guitar), David Hartley (bass), Robbie Bennett (keyboards), Charlie Hall (drums), Jon Natchez (saxophone, keyboards) and Anthony LaMarca (guitar). In their early days, they quickly rose from the underground and local music scenes to more in the limelight status, with the release of their debut studio record, Wagonwheel Blues, released in 2008. The next chapter of their career was non-stop as they took to the road to promote the album… in just a few years they had toured extensively and were more than ready for a second album release, Slave Ambient came out in 2011 and gained nothing but positive feedback and a wider fan base for the group. But it wasn't until their 2014 album that would make their status explode, Lost in the Dream received worldwide attention and with a sign to Atlantic Records, they were able to release yet another record – A Deeper Understanding just last year!! It of course grabbed them a Grammy Award for Best Rock Album and has made them busier than ever, ever since that day! The War On Drugs will be touring this coming Summer and Fall seasons to bring you all of their best and latest material to the LIVE stage! Don't miss your chance to be there and to see just how great they are for yourselves!